If I ask a question, What is writing in an L2 language course, or what components do you think writing consists of? It sounds like a dumb question. Because whatever it is in L1 writing or Lx writing, in most people’s minds, writing is the combination of vocabularies, phrases, and sentences in a text on a piece of paper. But have you ever thought writing could be interpreted in another way that is more interesting and dynamic? For example, do you think the video below can be regarded as a new way of writing? Don’t you think it is much easier to read and comprehend compared to tediously written essays? Belcher (2017) argues that the multimodal composing and digital design (also referred to as multimodal design; see Casanave, 2017) has been regarded as a new approach to writing. Miller-Cochran (2017) gives an expanded definition that “a class that facilitates multimodal composing and design asks students to engage in making meaning with a range of modalities and in new genres. These modalities might include images, sound, movement, video, spoken words, or hypertext”. *Zamel (1982)and other scholars thought writing was more than encoding and decoding scripts. Rather, writing was a discovery process of ideas, forms, and a means of self-expression. This was also a chance of co-operating with peers and teachers, who not only monitored students’ correct use of language but also facilitated the writing process. *The driving force behind the reconceptualization from a multimodal design perspective is the recent improvement in communication technology, which has made writing no longer being limited in the materiality of print or online copies of printed text – words on a page or screen. Writing pedagogy should be viewed as facilitating composing by taking advantage of a large semiotic toolkit, such as color and sound, still and moving images. The re-conceptualized writing is referredto by Purdy (2014) as the “visual turn”-“seeing texts as visual; treating images as texts” (pp. 615). *Because mobile devices are now common among young people, they actively engage in many personally meaningful writing and composing in new media. Out-of-school literacy practices create a close connection with others, which, in return, encourages informal writing. *L2 writing specialists are concernedthat online writing or writing on mobile devices is not real writing since this may be detrimental to serious academic study. They thought digital devices would cause students distraction and superficial thinking. But the author thinks these are just concerns instead of facts. The similar doubt occurred to the initial stage of writing. Ancient people thought writing was harmful to people’s memory and made children know too much in that ignorant time as everything could be recorded in writing. *Apart from writing being viewed as a technology, the current electronic communication is also dependent on it. With the advances of interactive digital technologies, any authors with Internet access can reach a worldwide audience. Among various affordances brought by multimodal designs, Belcher (2017) pointed out the three benefiting groups of learners, which are literacy learners, language learners, and L2 writers, by indicating that digital projects provide them with the opportunities for growth. *As our world is going to be more digital in the future, digital designs can provide literacy learners with state-of-the-art practices in electronically enhanced practices in both disciplines and workplaces. *However, teachers should be aware of the digital gap existing in our society. Therefore, to help those people who are likely to lose their academic success because of non-proficiency in technology, teachers should provide in-time support for learners in need. *Multimodal designs offer advanced language teaching strategies to language learners. For example, teachers can use integrative strategies to guide students in task-based learning and teaching (TBLT) to improve learners’ multi-dimensional competence, e.g. asking students to create a video to practice both speaking and writing skills. *By using digital communication tools, learners are able to experience authentic communication with people around the world. This can then motivate those learners’ autonomy. In a research done by Hafner and Miller (2011), researchers have found that through digital communication tools learners not only improved their ability to independently search for relevant information, but that learners also got more chances to practice the target language by themselves. *For a multimodal design task, writers can use other forms of modes like pictures, music, etc.to better express themselves. *Through combining various types of modes, learners’ awareness of genres could be improved, especially regarding the knowledge of how and why they should use a specific genre. Also, Hafner (2014)pointed out in his research that those digital projects can be used as inspiring foundations for future academic tasks. Why become facilitators of multimodality? Even though it is inevitable that multimodal design will be widely spread in education in the near future, there are still scholars expressing their concerns and doubts according to their academic research (Belcher, 2017). Belcher (2017) suggested that the copyright and originality of writings may face challenges due to the innovative and unrestrained features that digital technology holds. Meanwhile, the teachers may find it difficult to acquire the ability to manipulate digital technologies, master the techniques in applying those technologies into pedagogy, and design effective assessment activities for a multimodal pedagogy. Other factors such as financial support, school policies, and administrators’ ideology would also put certain degrees of limitation on the development of digital pedagogy. However, the fact is that multimodal design gradually is penetrating our lives in a positive way, and we need to sharpen our awareness and get ready to accept it instead of evading the issue. With all these existing resistances in the developmental process of multimodal pedagogy, it is our responsibility to be aware of the problems and become facilitators in promoting the development of multimodality. With the onward trend, we can find many examples of using multimodality in teaching. 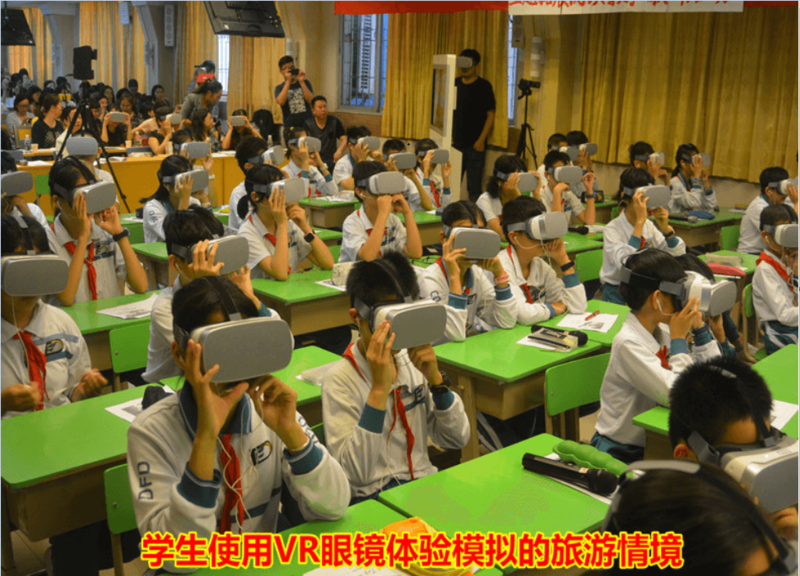 For instance, the Dong Feng Dong Road Primary School in Guangzhou, China, introduced iPads and VR in their classrooms in August 2014 (Fig.1 & Fig.2 below) and faced many of the problems mentioned previously. Nevertheless, with boundless efforts and the facilitation of teachers, the school achieved many signs of progress and intended aims. It seems that becoming facilitators of multimodal pedagogy does help with its development. Would you try to use multimodal composing to design assignments for your students? What subjects do you think are suitable for the new style? If you become a facilitator of multimodal design, what challenges do you think you will encounter? How will you overcome them? I think I would like to try to use multimodal composing to design assignments for my students. I think almost every subject is suitable for this new teaching trend. English Langauge is a quite suitable subject as multimodal composition does not only enhance students’ ability to write on a topic, but also develop their creativity and innovative use of videos, music, sound effects, pictures and so on. And I think as usually boys do not like writing (and maybe English), applying electronic devices into writing for a new kind of composition can motivate them and reduce their negative opinions towards English writing. I think the first challenge I will face is that although I have used a lot of time studying multimodal composition and related digital tools, I may not solve all technical problems faced by my students. I think it is a big problem English female teachers usually face in daily life. I may build a close connection with IT support staff in my school and ask for help from my colleagues who are experienced in this aspect. The second challenge I think I will encounter is that students may not know how to get started to do this new form of assignment. Teachers may need to show them a large amount of examples and also monitor their progress time by time to ensure they are on the right track. Thank you for your comment. As you said, the technical support is the inevitable problem for teachers and students in multimodal composing and put restrictions to its applications. However, the systematic trainning, technical staff supports and other forms of tutorials could effectively minimalize the restrictions. Thus it is very important for us to raise our awareness firts, then practice and solve out the best solutions. Thank you for your sharing! I think the use of multimodal composing is an integrated and innovative way to design homework for students. And I agree that English is suitable for this new pattern. I have went to a secondary school to visit a class. The students all used iPad to finish the English classroom writing task, drawing diagram as well as searching for associated information on the Internet on the iPad while working in a group for the task. In this way, I think the new learning style does help them be more motivated and inspired. If I become a facilitator of multimodal design, I think the facilities and digital device in school are challenges. Even if school can provide perfect digital device for students, there may be some network connections problems that may break down the use of multimodal design. 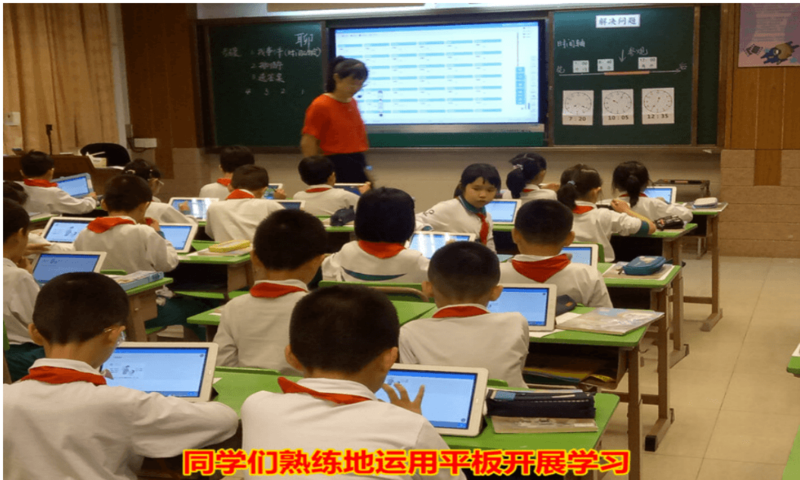 Thus, I think teacher should think about the potential problems in the class, backup activities and how to keep class continuing without digital device have to be considered in advance. Yes, Mandy, I also believe the employment of digital devices in class could encourage students to be more active. And your comment reminded me to think of another thing when using digital tools. You mentioned your visit to a secondary school and of course, there must have many applications in daily teaching circumstances. But I am thinking how long students’ interest will last in using digital devices as a way to study and to what extent this would influence on different ages of language learners. It is hard to say, right? Perhaps we need more research and practice to prove it. So I think it is smart for teachers to use different materials and teaching strategies to keep students’ original incentives. Yes, I think it is exactly a problem teacher should think more deeply of the lasting time of students’ interest and excitement about using digital device for learning. But I think as the secondary school I visited, the teacher has used this kind of method in English class for nearly a term. The students are found to be more familiar with integrating the digital device with their own study as well as group work. I can notice they are highly self-disciplined and motivated in learnig English. 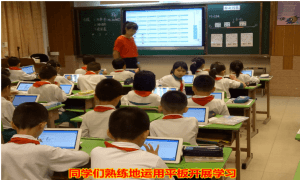 So I believe it can still be effective for their learning for a long term in a way, but how the teacher manage the class well, facilitate and monitor students to use the device appropriately need further consideration. Well, as a future teacher (if I am lucky enough), I would like to use multimodal composing to design assignments for my students. Because I believe it is an interesting way for students which can improve their willingness to do the assignment. What’s more, this kind of assignment can train students’ comprehensive ability. For example, let students do task about writing a game walkthrough online with a group. Here students’ communicative competence might be trained for they need to negotiate with their teammate and also, they are asked to use multimodal tools like images, video, and hypertext, so maybe their digital literacies would be improved through the process of writing. However, it is not an easy task for teachers, because it needs strong teaching abilities which forced teachers to be trained for sometimes so that they may provide better teaching for students. Firstly, they need to understand deeply about how to use those multimodal tools and practice it often. Then teachers should also know the potential problems like technique problems that may occur during the practices. In addition, this kind of task is a bit of time-consuming, so teachers need to manage the time problem. Overall, I think using multimodal composing to design some writing tasks benefit for students’ language as long as teachers can be trained better. Aha, I feel that you have truly thought of everything and I believe as long as you wish, you will become an excellent teacher in the coming future. Distinguishable from traditional methods, multimodality offers more possible chances for our students to give us their imaginativeness and creativeness. It is a so great change. But yes, as you mentioned, teachers, as the facilitator, should take good use of this new mode, or it would also be detrimental to our pedagogical purposes. Thanks for your reply. I agree with you on the opinion that multimodal assignments can deepen the comprehension and understanding of knowledge, students wouldn’t know how to how to generate a product if they are lack of enough understanding on the subject. But I think for senior high students who are more stressed with exam pressures, this kind of activity may be not that applicable. This could be counted as one shortcoming of multimodal composing. BTW, you are gonna be a good teacher! If I were a tutor at a university/college, I would ask my students to do an assignment in a form of multimodal composing such as creating a video to introduce a topic. It suits for every subject (as mentioned by Ivory above). For example, in Christoph’s sharing, a digital video uploaded to YouTube to share with others was the final output to replace a presentation for undergraduates in science faculty at a university in HK, aiming to enhance students’ English proficiency and their technological sophistication (Hafner, 2014). The suggestion above is mainly based on project-based learning. Another possible way is an individual video essay in English rather than the traditional written essay. Pictures, text, music, and/or narration can be some possible expected elements in a video essay. (More information, please click: https://owl.excelsior.edu/online-writing-and-presentations/multi-modal-writing/multi-modal-writing-video-essays/) Each student in a class is asked to complete an essay question by making the essay in video form in English. Such an essay can be very flexible. Teachers may show their expectations (and criteria) by giving a guideline and a rubric to students at the beginning of the assignment. For university students, tutors/professors may expect a higher quality of the video essay in terms of content, resolution and length. For example, students are expected to submit an individual five-minute video to explain the connections between new literacies and language teaching pedagogy with appropriate pictures and music. Yet, for primary and secondary students, teachers may adjust their requirements according to their students’ abilities. Elementary students may just present a given topic (like “your favourite food” or “your family”) in front of a camera/phone (without any requirements related to background music, picture and etc.) within a shorter period of time (e.g. 30 seconds or 1 minute). In other words, the student shown in the video doing the presentation is the only requirement. The majority of students mainly play the role of the listener in formal settings. Even though the interactive approach between students and teachers is highly encouraged nowadays, teachers have to give equal opportunity to each student to share their opinions in a lesson. With a limited period of time, every student is not provided with enough chances to speak in lessons. These two kinds of assignments could provide opportunities for students to practise speaking. After finishing a script, a student has to practise it before shooting. As a facilitator of the assignments, one of the biggest challenges may be technical problems (like what Ivory and Jean mentioned). To address the problem, teachers may ask IT technicians for help. Teachers should also familiarize themselves with the digital tools by attending a workshop or a training course of the devices and/or exploring the tools by themselves. It helps build up teachers confidence in guiding students in the process, leading to the success of the assignment(s). Besides, if possible, schools should provide digital devices for students in need. The second concern is time management (as stated by Jean). Giving enough time for students may be one of the best solutions. Moreover, one of the possible reasons is that students don’t understand what they exactly are supposed to do so they start working on it until the last minute. To solve it, before students start the assignment, teachers should provide exhaustive explanations of the assignment(s) and provide students with some sample done by the previous students (if possible). Moreover, teachers should require some progress in their assignment(s) from time to time to ensure that students are on the right track and make acceptable progress. More importantly, teachers can give students advice on the students’ problems in the process. 2)Thanks for your insightful sharing. I do agree teachers should treat this multimodal composing differently based on the students they’re teaching and the teaching environment. And also, I think there are more information and knowledge which can be shared by university students, which makes this activity more suitable for university students. Maybe teachers for younger students can generate simpler way of multimodal composing by not asking them using too many technologies, but to do some activities which are more accessible to students. Less digital, but should be easier to be conducted. I think I’m willing to introduce the multimodal composing to my students, though I would also admit that it is also quite a challenge for teachers. But I think it is better to design the assignment as homework for the summer or winter holiday, rather than during a semester. Because in this way, students can have ample time to explore different ways of doing the task, which is also a good way to encourage them to be more creative. Therefore, only a basic rubric is needed for guiding students to focus on a particular topic, since the aim is to raise students’ awareness to use multimodality to express and to create. I agree with you, Celia~ I think the purpose is to raise students’s awareness to use multimodality so there should be plenty of time for students to explore multimodal themselves with low pressure and high motivation. Maybe teachers could set some tasks for them which allows them to be creative and critical, such as creative adapation to the texts that are learnt in class. In this way, they could not only show their understanding of the certain texts but also enable them to fulfil their talent. I think I will recommend the multimodal composing to my students.This new form learning is a good way to stimulate their willingness and passion on assignment and also can encourage them to be creative. And I suggest that this assignment can be assigned during the long vocation in order to ensure they have enough time to finish.Also, teachers are also need to give proper guidance to the students,for example, specific topics or some examples to ensure students can fully understand what they need to do and how to do it. Pat, it is true that the new mode of language learning has some advantages: getting students motivated to do their assignment(s) and encouraging students’ creativity. As you said, the time of giving the assignment and the appropriateness of teachers’ guidelines are two important factors, which partly determine the success of the assessment(s). From the perspectives of students, they might be seldom assessed with the elements of multimodal composing in the past. Teachers’ patience and clear instructions are important for learners doing the assignments. Thank you for your sharing and I did learn something from the video😊! Personally, I believe the multimodal composing is a great idea and it deserves to be incorporated into the current teaching practices. Here are my thoughts about that. a) Both the multimodal composing and traditional academic writing should be taught at school because they have different affordances, constraints, and targets. For example, learners can familiarize themselves with new technologies and digital literacies when trying multimodal composing, but when they practice academic writing, they learn more about the language itself such as the accuracy of punctuation, the appropriateness of vocabulary, and the structure of articles. b) Learners might feel difficult to handle the multimodal composing due to technological problems at the present stage. So I guess teachers might start from easier tasks like integrating only one new mode to the writing. Another possible method is to organize a workshop, adopt a project-based pedagogy, and guide the learners in class for a period of time. c) Based on the cases you shared, I think VR or iPads, to a large extent, just replace the PowerPoint or paper in traditional teaching activities. Undoubtedly, that is a good start. However, integrating digital technologies into teaching or learning is not simply about doing conventional things by new devices. Whether teachers or learners are able to use the technology creatively and produce works innovatively may be more important. d) I would like to share a link here: https://www.ted.com/#/ Find the column called “TED-ED ANIMATIONS: FEED YOUR CURIOSITY” and you will have access to a great many interesting short videos (similar to the one attached to this article), which might inspire you to try multimodal composing by yourselves or ask your students to mimic them. I agree with you, Amanda. Due to the current gauging system, it is not easy to integrate multimodality into the teaching or daily assignments, especially for elementary and secondary schools. But we could suggest schools to hold workshops for those who have the interests to learn multimodal composing and design. In this way, it may soften the debate about the appropriation for the new stuff. Thank you for your good idea and also for the sharing resource. I love your post! Thanks for sharing! As for my own experience, even though I am not good in techniques but when I was given a chance learning in new tools, I always feel excited. Some people may worry about the class management, they may think if the students are given chances to use internet in class, it is hard for teachers to rule the class. However, l learned from your post that if the students are used to learning through the new techniques, there might not be so much trouble. I think they may need time for the new approach, so as for the teachers. Glad that you feel this article is useful for you. Actually, as leaners are quite familiar with learning new things through advanced technologies, I think one problem is whether they have this awareness to actively learn knowledge, and this would be an important factor lead to uncontrollable classrooms. If they are only considering the activities as interesting games, they would be more relaxed which might interrupt classroom disciplines. And also, technical problems might delay the teaching process too. But I’m glad to hear from you that classroom control shouldn’t be that difficult! Maybe you can share with some small techniques with us! It is obvious that the multimodal composing is a good way for language learning and teaching. As I observed, with iPads, students could concentrate more on the tasks at hand. Though they may find difficulties during the learning, they won’t learn it in a negative attitude. They will use facilities to tune their study, which is a very important skill. While traditional learning, teachers control the learning pace, students are followers without this essential skill. So, with the multimodal composing, students can not only be creative, but also become active learners. And I think, the multimodal composing is most suitable for writing tasks. It can enlighten students a lot. As for other parts, regulation and guidance will be challenges. Thanks, Moon. I agree with you that the adoption of multimodal composing is an important and useful tool for self-learning. Students can explore more information about the language to enhance their proficiency by using electronic devices. However, during the process, as I noticed, some learners who lack self-discipline may be distracted by other apps or online activities in many contexts (e.g. schools, libraries and homes), especially younger learners. Teachers, parents and even peers may play significant roles in guiding learners’ L2 learning. It’s glad to know that your practice proved to learn in iPads can help students to concentrate more on tasks, cause some teachers and parents always hold the opinion that electronic equipment distracts students attention and make them want to play games or do other entertaining things. Actually, I think these types of equipment should be developed by more people to help students learn new things as it is more convenient and applicable. And as you mentioned, these types of creative tasks give the autonomy back to students which I think is a good way for producing practical and authentic outcomes. Thanks for your group’s wonderful sharing! As for me, I would try to implement assignment in the way of multimodal composing. Assignments that need creative and innovative thinking could be carried out in multimodal composing. Even the science subjects like maths and physics could encourage multimodal composing. The use of multimodal composing could deepen the understanding of what students think about that knowledge in a non-traditional way. It does have its own affordances. But I think this kind of new style should be implemented at appropriate time since it takes students too much time to accomplish an excellent task in the form of multimodal composing. I would undoubtedly encounter the technical problem since it’s more demanding for teacher to manipulate the technological operation in producing a pedagogical video compared to producing PPT. Both students and teachers need to be basically trained in technical aspects in school to make sure he/she could get access to this multimodal composing task. Apart from the technical problems, the pedagogical problems matter that we should critically consider how the implementation of this new style could make a difference in pedagogy. Hi, Yasmine. Thanks for your comment. Perhaps the way of multimodal composing is apt to assignment forms which may motivate students to finish actively. In the beginning, it definitely needs more time to adapt users to the new environment. But I believe they will gradually use digital devices with proficiency. Additionally, it is not necessary to request students to accomplish pretty perfect products every time. According to the characteristics of the task-based assignments, which can be a term-long project or a simple project, they can report their progress bit by bit or just give an easy performance. Thank you for your sharing! I am really in favour of the statement that multimodal composing is a process of creativity, which involves more elements and facilitates students’ imagination. As for me, I may ask my students to write a blog in L2 as a diary to record what happen in their holidays. Also, they can add friends online so that they are able to give a comment on others’. Unlike traditional use of pen and paper, they can incorporate music, image, clips to express themselves better. What this method may suffer is that students may spend a lot of time on commenting and interacting with their classmates on blogs and keep a close look at whether there is a new comment. This might sort of influence their academic learning. It’s a really great idea to apply multimodal composing in class and after class. Personally, I find writing really tedious and difficult. And I do think many students have the same feeling as I do. With multimodal, it will help to change the atmosphere for writing class and students will find something interesting to write about spontaneously. In this way, it helps to stimulate students’ intrinsic motivation to write and I believe the outcome will be better. Besides, sometimes, idea brainstorming are especially challenging for them (not for me hahaha). They have nothing to write about at the beginning, so it takes them a lot of time brainstorming. Multimodal composing, however, can inspire them and they will find ideas during the process. But teachers’ role in the process is very important. Teachers need to guide the students how to do the task, and give clear instructions, esp. if it happens during the class, then class management is really important. Otherwise, students will be distracted and will not achieve the intended outcome. Besides, if it happens after class, then teachers need to communicate with their parents in advance, because some parents still don’t understand nor accept the multimodal teaching and learning. And it really takes time. I will try the multimodal composing for students because students sometimes feel difficulty in generating ideas and bored about the repetive process of drafting. Using multimodal elements will easily attract students’ attention and intrigue their interests. I think most of subjects can adopt multimodal way, since there are thousands of audio, video and different kinds of materials on the Internet and other resources in daily life. Selecting appropriately from the materials and resources will develop students’ awareness of using multimodality. For example, we can assign students to collect ideas from interviewing people, exchanging information from different perspectives, searching related messages through Internet, chat with netizens from all over the world. But the time factor need to taken into consideration. Actually, teachers need to spend a lot of time in preparation and informing students of how to make use of this multimodal way. In adddition, schools and parents also need to be spent time in explaining the affordance and usefulness of the new way. And teachers have to trained with corresponding skills to handle technical problems. I think it is innovative to use multi-modal composing in teaching English. Because for young generations these days are quiet good at using electronic devices in their daily life and in learning. However, it will be a little bit challenging for teachers to teach. They may encounter a lot of difficulties such as the materials to teach, time management and classroom control. It may be more useful and effective for teachers to design the homework for students. I think I would try to use multimodal composing to design assignments for my students since students can unleash their creativity in writing by using multimodal resources. In my view, all the subjects are suitable for this kind of new style but it really depends on how the teachers make good use of it. If I were an English teacher, I may ask my students to do some free writing every weekend and they are expected to use multimodal composing to express themselves better. For example, if a student want to introduce her new pat and show how cute the pat is to her classmates, she can use adjectives to describe what her new pat looks like as well as adding a photo/ video of her pat so that her classmates know her pat through her description and the visual image. In this way, students can learn how to make use of all the available resources to make themselves better understandable. As multimodal composing involves making meaning with words, image and sounds. I think not only English, Music nd Visual Arts are also suitable for this new style. Take Music as an example, students can write lyrics for a piece of music to express the meaning of it. I think it is more interesting than just sing a song and do some exercises about music theory. In fact, it can be a cross-subject collaboration. It only depends on which subject or intended learning outcome you want to focus on. If students are talented enough, they can even compose a piece of music with the lyrics or poems given by the teachers. I think the most challenging part when I become the facilitator of multimodal composing is how to ensure my students are on the right track when they are doing it. Due to the limited class time, it is impossible for students to do multimodal composing all in the class. They need to work on it outside classroom, maybe at recess, lunch break or even at home. Also, students are vary from their skills in digital technologies and digital devices they have at home. Moreover, more time and technical support are needed for students to finish their work with this new style. These make the teachers difficult to monitor their progress in their assignments. To solve the problems, a support team should be set up so that students can seek help from them at school. iPad or notebook can be lent to students whose digital devices are not functionable to certain apps or software. Also, teacher can ask the students to upload their unfinished assignment on the Internet or put it in the school server every week to keep checking their progress. When I was young, I was recommended to join a competition for primary students to design a website. I know it is different from this context but it reminded me of something. I remembered that designing the front page of the website with the theme of Animal. We need to design where to put the picture, the text(generated by ourselves), the hyperlink and decorations and so on. I found a lot of fun making it. I know it is different from the real multimodel composing context but if we only look at the front page, it’s like designing a blackboard poster with text and images and so on. Thanks for your inspiring group work. I would say that I would try to use multimodal composing to teach writing in my class if they have already gained the basic traditional composing skills. For example, elementary students can be asked to write the process of a simple story after they watch a short play online, and as a teacher I would set a pre-writing activity such as list some words they might need to use, so that learners can put their previous knowledge into use and follow the short play carefully. Then I would ask them to form groups and write the story together. The written story would be checked. Then I would find the same story in the dubbing app and ask them to record it. This could be attractive. They need to record the story in the dubbing app and share their composing experiences with other classmates. The recording in dubbing app can improve their spoken skills. The homework could be a final draft of the story of individuals, and they can improve writing skills because of the input and correction in class. As a teacher, sometimes it is more effective to teach in traditional ways, and teachers need to use different composing models to teach different styles of writing. If it is an exam-oriented writing task, the practice online can be more serious and fulfilled with more knowledge. The assessment is also important, which can make students aware of the aim of the multimodal composing activities. Thanks for your interesting sharing! I believe that it is a practical way to ask students to do multimodal composing if all of them have access to technical devices, such as computers and iPad. However, one of the prerequisites is that students have been taught to develop the ability to manipulate those devices. To solve this problem, teachers may use a multimodal text as an example and ask students to observe different ways to express meaning (i.e. semiotic devices) at the very beginning. Next, teachers may elaborate those techniques and show how to present a text like that with the help of technology. Those steps can be also conducted by an computer course so that students may have more chances to try out different technical tools. a) What kinds of medium modes have been used? In this way, both the writers and the audience can reflect on the efficiency of multimodality and they can polish their own writing later. Thank you for your amazing blog it is very fun to read and very insightful. For me personally, i think using multimodel composing to teach writing has so many benefits. It has definitely outshined traditional teaching methods where is very basic, simple and can kill out students’ interests. However, multimodel composing can be used in many ways, music, video, and others. It has obviously changed the game for the teachers to teach writing. It can inspire students’ imagination, creativity and interests. Moreover, it requires students’ hearing ability, seeing ability to function together. It needs students to focus and concentrate and im sure they will. Students will have more opportunities to discover their talents. As teachers, they should be aware of the potential technical problems that may occur and try to avoid it to keep the teaching class smooth. Overall, using multimodel composing to teach writing is very new and intriguing and challenging and definitely a wonderful way to teach writing. I am so glad that you like our post, hoping that you can have further thinking about using this way. I have also got inspiration from your comment, I suddenly think that perhaps we can combine the composition of multimodality with critical discourse analysis. The reason is that both the two domains involve some common elements like images, videos, and texts in different modes. So I think the combination could further extend and link the teaching contents in language learning. Of course, considering the level of learners’ abilities, perhaps it is reasonable to set these kinds of subjects at advanced levels, like in undergrad stage or above. Thank you, Carrie, for your inspiring comments. I think I will be willing to use multimodal composing for my students because it could make students more actively engage in language learning and it could also raise students’ interests and motivation. Using different types of new technologies could also stimulate students’ creativity and imagination. However, it could be challenging for teachers to use multimodal composing. New technologies are sometimes too complex and it requires many practices. Teachers need to master the technology themselves and in the meantime give students clear instructions for using the new technology. Besides, assignments like making video could be time-consuming. So it is necessary for teachers to design assignments that easier for conduction. For in class activities, it is also important for teachers to check progress during the activity as multimodal composition might distract students’ attention from language learning to technology exploring. Yes, Jennifer, I pretty agree with you. The key point of using new technologies to conduct multimodal composing is teachers. We ourselves first need to skillfully use different functions of digital devices as well as varieties of software. Additionally, teachers had better a simple and clear direction or instruction to students in class when teaching multimodal composing. I think in this way both teachers and students can benefit from the powerful convenience brought by the new trend. For the second question, I think I may receive objections from students’ parents. Parents may hold a suspicious attitude towards those multimodal composing tasks which need the support of digital tools. 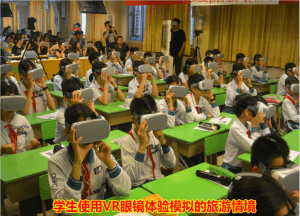 On the one hand, they think excessive use of electronic products will do harm to their children’s eyes, and on the other hand, they may wonder whether such activities will help their learning. For this challenge, I think we should consider parents’ worries and control the frequency of such kind of activities to make them just one component of the whole teaching process. Since multimodal composing in class has been the trend of teaching development, we should give parents’ more time to accept it and know its strengths. In addition, I think multimodal composing is a fresh teaching method, but its promotion will encounter challenges under the Chinese learning environment that students especially those seniors still have exams to deal with. Therefore, teachers have to adopt more task-based teaching method to help build their exam skills. it’s a quite a paradoxical problem and has no best solution at present. In terms of the first question. I will use multimodal composing to design assignments for students because it is much easier to read and comprehend compared to tediously written essays. I think it is acceptable to assign some team works about video making to students. In this way, writing could be interpreted in another way that is more interesting and dynamic. Just like the post has said, it is better to integrate the Multimodal Composing to guide students in task-based learning and teaching (TBLT), in this sense, as a teacher, I can improve learners’ multi-dimensional competence. Besides, by using digital communication tools, learners are able to experience authentic communication with people around the world. They can express their idea by using multimodal composing, this actually increases their willingness to speak and write in the target language, this can then motivate those learners’ autonomy. Yes, Emma, the role of teachers in using multimodality is facilitators. Multimodal composing can bring a lot to the classroom teaching like increasing the opportunities of communication, cultivating their teamwork skills, and inspiring their creativities. So with assignments conducted by team members together, it is definitely beneficial to the accomplishment of teaching aims, even extending to the off-school time. Thank you for sharing. I think I will integrate multimodal composing into my class in the future. For one reason is that it will be a good way to trigger students’ interest. As we know, Chinese students hate writing for it is difficult and boring. Therefore, it deserves to try a new way to cultivate their interest. The second reason is in the future when they have a further study like studying in university, they will have to study multimodal composing sooner or later. So it will be better for them to know early. I think I will meet some challenge. Since students are mostly study in a traditional way, it will be more difficult for me to introduce some new way. For example, some students may not be skillful at using the technology which will waste a lot of time. Also, some students may tell their parents or other teachers that I don’ teach in a serious way and waste their time. Secondly, they will be distracted during the class and do another things using the Internet.